Product prices and availability are accurate as of 2019-04-20 02:51:15 BST and are subject to change. Any price and availability information displayed on http://www.amazon.co.uk/ at the time of purchase will apply to the purchase of this product. 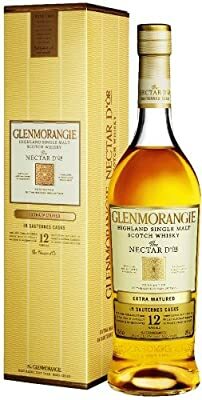 With a tremendous 'gormand' appeal, the Nectar D'Or is Glenmorangie's delivious, complex base spirit that, after a minimum of 10 years in ex-bourbon casks, is then extra matured in specially hand selected Sauternes wine barriques. This makes it rich and sumptuous with a heady, luscious, beguiling spectrum of aromatic patisserie desserts that helps creates a memorable occasion whenever it is enjoyed. 'Or' means gold in both Gaelic and French, while of course 'Nectar' is the drink of the Gods. 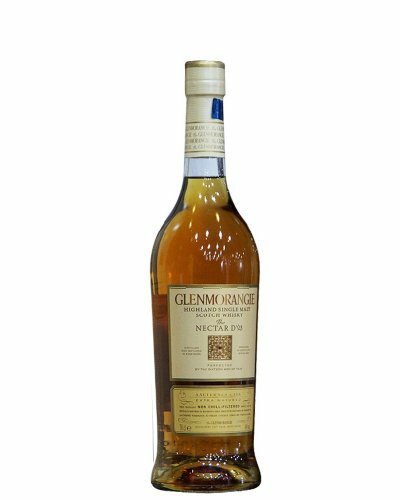 Non chil-filtered and with an ABV of 46%, its key flavour notes are lemony, sumptuous and syrupy.